Workhouses were institutions that provided those who were poor with relief in the form of food and shelter in return for work. Unfortunately, workhouses hurt more people than they helped. 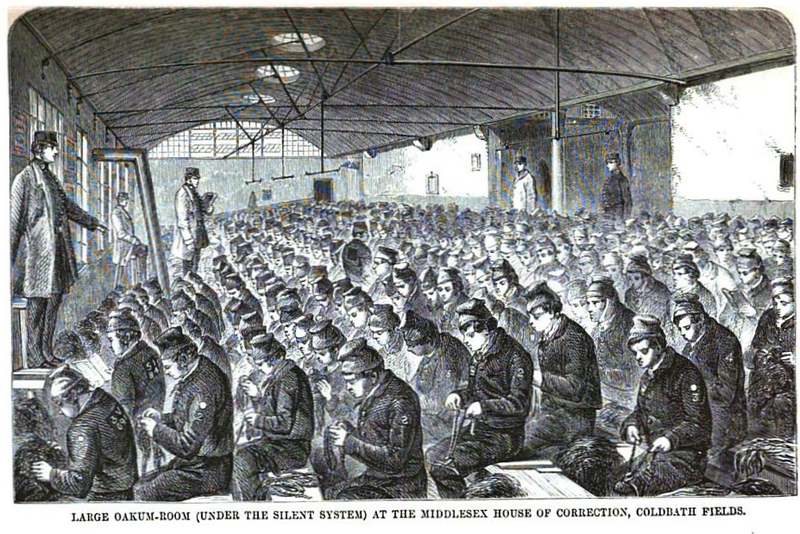 The workhouses did provide medical treatment to the sick “inmates” however, they were very small, badly ventilated, with poor sanitary facilities. Often times, different categories of patients were mixed together and sometimes even placed in the same bed. Therefore, the spread of disease occurred in several of cases. Poor law unions were obligated to employ medical officers to minister the union’s sick poor, both inside and outside the workhouse, but these medical officers were provided with the lowest of salaries. A lot of the men that worked as workhouse medical officers were the least experienced, and they often had to pay if there were any drugs that were prescribed to the patient. Workhouse patients lived rough, hard lives in order to survive in the economy. In fact some believed that becoming a beggar would be better than working in a workhouse. 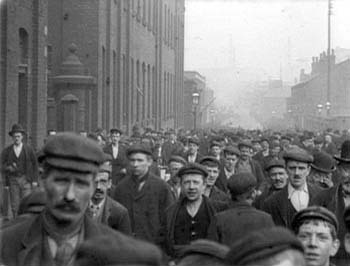 Many people tried their best to avoid entering workhouses, and tried to find work despite the economical struggles they were facing. Factory owners and workers themselves contributed to the spread of disease. Most factory owners would not install fans to circulate fresh air, therefore the air was heavily polluted with airborne metal particles. Workers were also aware of the dangers of pollution, but would not wear handkerchiefs or wash their hands to prevent any type of poisoning. The dust from stone and steel filled the factories in “considerable quantities.” The life expectancy due to dust intake, and poison intake began to rapidly decrease the life expectancy of workers. The average male working in a factory would live for about thirty-nine years. However, if the male were to begin working at age ten and was continuously working in such polluted conditions, the life expectancy would decrease to fourteen years. Unfortunately due to the pollution within the factories and the air quality, a lot of the young men or men working there lived a meager life, because of lung disease. There was a correlation between file cutters disease and lead poisoning. Many of the factory workers often worked ten hours a day with a machine cut file. When the men would cut the files, they would often moisten their thumb and finger upon their left hand by putting the fingers in their mouth. They used their own saliva in order to moisten their fingers during the file cutting. Therefore at every shifting, the men would absorb lead into their system. After the men were finished and were able to go on break, they would not wash their hands before eating meals. Some men even ate their meals around where the files were cut. This played a great role in the intake of lead poisoning within the factories. Due to the unsanitary stations that were given to the men that worked in the factory, it was often hard for them to take preventative measures. Ronald Lane from the department of occupational health believed that the consumption of lead has steadily risen over the past years within factories. Therefore, a lot of the workers do not realize how widespread this issue was. A survey carried out by the United States Public Health Service involved nearly 17,000 factories and a million and a half workers that were handling lead or its compounds. There was steady increase in the consumption within the United States and its expansion of use. As the industrial revolution grew, so did lead poisoning. Lane, Ronald E.. 1949. “The Care of the Lead Worker”. British Journal of Industrial Medicine 6 (3). BMJ: 125–43. “Public Health and Poor-law Medical Services”. 1892. “Public Health and Poor-law Medical Services”. The British Medical Journal 1 (1642). BMJ: 1334–35. Suckling, C. W.. 1885. “Reports of Hospital and Surgical Practice in the Hospitals and Asylums of Great Britain, Ireland, and the Colonies”. The British Medical Journal 1 (1266). BMJ: 696–96. “The Trades of Sheffield.” Illustrated London News. 48 (5 January, 20 January, 10 March 1866): 17-18, 56, 70, 75, 238, 244. Hathi Trust Digital Library version of a copy in the University of Michigan Library. Web. 25 December 2015. “Universities and Colleges”. 1892. “Universities and Colleges”. The British Medical Journal 1 (1642). BMJ: 1334–34.